Negotiations are underway with militants to recover their bodies. 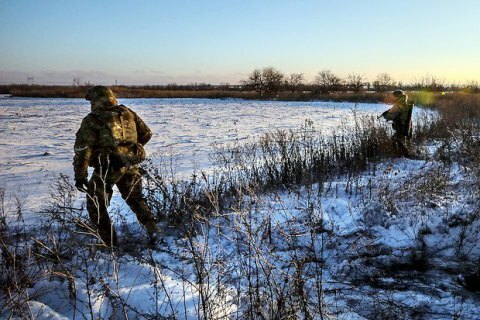 Three servicemen who went missing along the line of contact in the Mariupol sector on 8 January are dead, TSN.ua has quoted a cousin of one of them as saying. According to the man, their bodies are held by the militants. "An exchange cold take place yesterday. A commission from Kyiv came to the checkpoint, waited for them, but the separatists later said there would be no handover of the bodies. Negotiations should be held today or tomorrow to recover the bodies," he said. At a briefing on 12 January, the Defence Ministry's spokesperson for antiterrorist operation issues, Oleksandr Motuzyanyk, did not confirm the death of the marines. "The other side said it had found some bodies in uniforms… It is too early to say until they are identified and tests are held," he said. According to TSN.ua, the three marines were 23, 30 and 54 years old. They did not return from a mission near the line of contact. Search efforts lasted several days, but to no avail.